Slowly but surely, I’m ticking off the items from a very long to-do list. I’m doing my best to approach this build as methodically as possible, I don’t want to rush. In abide by this ideal and still see a conclusion within a reasonable timeframe, I have to do or plan something daily. Today, I pushed forward with the reassembly and took care of various tasks. I started by installing the HKS Twin Power unit. That spot was perfect, the piggy back harness was within good reach of the plugs and the box is relatively far from the engine’s heat. Furthermore, being down low and in an open area allows for increased air flow. I also connected the Magnacore spark plug wires and buttoned up the coils. In my haste to get rid of the sequential system rat’s nest, I overlooked an important bracket necessary to mount the coil assembly (sold it away). Everything under there is intertwined with each other, and this bracket was actually an offshoot of the rat’s nest assembly. This lead to a dilemma as I wasn’t sure how to find such a specific part. I called Mazda and they no longer carried it. 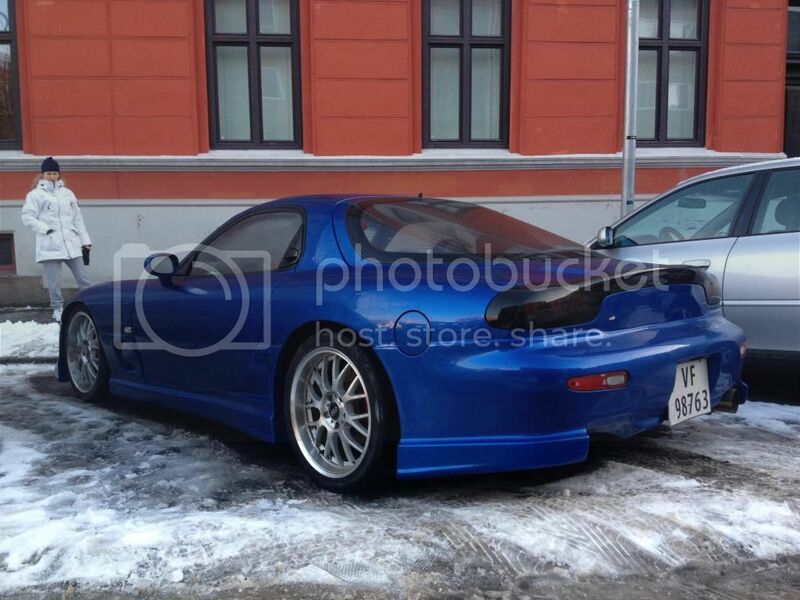 I decided to try a Want to Buy ad on RX7Club’s classifieds. It was more or less a shot in the dark, but within a couple hours of posting, Ihor from IRPerformance came to the rescue. It’s a blessing that this car still maintains a strong resource-sharing community. The clear braided hose in the picture below is a PVC Tygon line I’m using to vent/catch blow-by. I deleted the Positive Crankcase Ventilation (PCV) in the process. I may add in a catch-can in the future if the hose is not adequate and I notice excess oil in the intake tracts, but it shouldn’t be an issue in less than racing conditions. I like to do my own work for a reason. It allows me to dictate full control of the operation and impart a more crucial eye. I feel that certain levels of attention to detail cannot be captured when you drop your car off to someone else – only unless you’re prepared to sign a big check. For example, one of the benefits I’m able to enjoy is being able to handpick everything to my liking, down to even the replacement vacuum hoses. Even though there are barely any vacuum hoses left, it’s still an area that deserves scrutiny. Here’s a picture of a 3.5mm silicone vacuum hose I’m intending to use for the Blow-off Valve – the walls are nice and thick.  Archived in Garage Life, RX-7. Bookmark the permalink. Have you felt a difference while driving after installing the HKS ignition-unit and those new plug wires? Are you planning to go for a water injection system in the future as well? Great to see you’ve been reading my site for a while now, thanks for that. I’m still in the midst of this engine project so no driving reviews yet. The HKS Twin Power is supposed to help breakup and smooth things out. I got it primarily as additional security, more than anything. Pushing more power will tax the stock coil system, and this is where the ignition amp comes into play the most. It’s a good thing to have period and I consider it a reliability mod, a stronger spark is never a bad thing… although you may go through plugs at a faster rate. Having all 4 of the same plugs helps because stock, the leading and trailing were 7 and 9 pairs. Now I have 9’s all around, so it makes 2 of the plugs 2 degrees colder and should help with increased power/boost. Water injection is planned in the future, mainly to act as a buffer and safety-net. I don’t think it will be crucial to have now because I am only aiming for modest horsepower gains. Congrats on joining the club! Share some pictures of your new RX-7 if you get the chance. And feel free to contact me if you need any help with anything. I really enjoy your blog, tastefully minimalistic design (mainly the same thing I love about your cars) and the pictures are always of great quality. I’m into photography myself as well actually, got a Canon 650d and a couple of really nice lenses. Yeah, that’s pretty much why I’ve been thinking about installing the ignition amp too. I’m not really looking for more power with any of my mods, it’s just a bonus as long as the engine gets more reliable. That’s how it is right now, haven’t had the time to do anything to it yet as I bought it about 3 weeks ago, just gonna enjoy it this summer, make a few minor fixes, then hopefully make some big changes to it next winter! Which water injection kit are you thinking about going with? Been looking at the HKS and the Aquamist myself, haven’t really gone into it and studied which advantages each have. Thanks! And likewise if there’s ever anything I could help with.